Many people who run have issues with their ankles. Rolled and sprained ankles are two of the most common injuries seen in runners. Luckily, there are many different types of braces designed to help people with a variety of ailments. Whether you need compression to reduce swelling and ease tendonitis pain, or support for weakened ankles, there is a brace out there for you! With that being said, here are ten braces with varying elements and features designed to help runners get back to running, whatever their specific ankle needs are. OpeCking has designed this brace to help both heal and support ankle joints while they are in motion, aiding in the recovery of currently aggravated ankles and possibly preventing further injury. Designed specifically to support ankle joints while still allowing you to maintain full range of motion. Great for people suffering from plantar fasciitis, arthritis, and instability, but still wish to remain active and mobile. This brace is made with non-slip material, helping to minimize the need for you to stop and readjust the brace during activity. 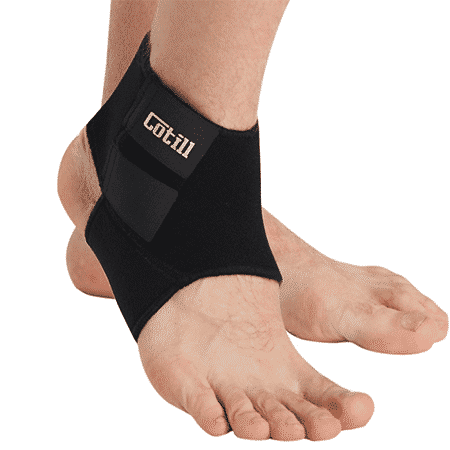 A brace designed by Cotill specifically for healing sprained ankles. 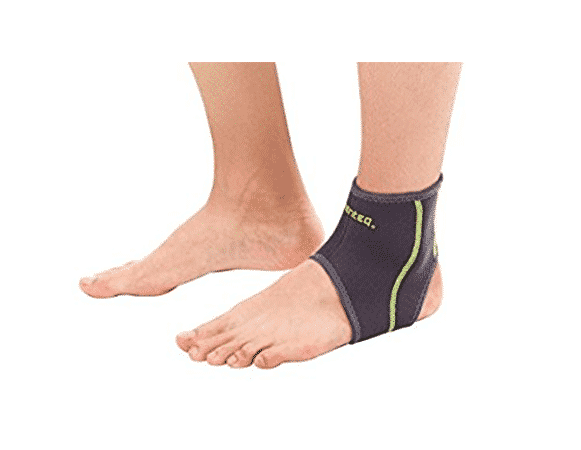 Adjustable straps help you ensure the fit of this brace is snug regardless of the various stages of swelling your ankle might be experiencing. Also, helps to prevent further spraining, or sprained ankles in the future. Made with anti-itch and anti-odor technology. 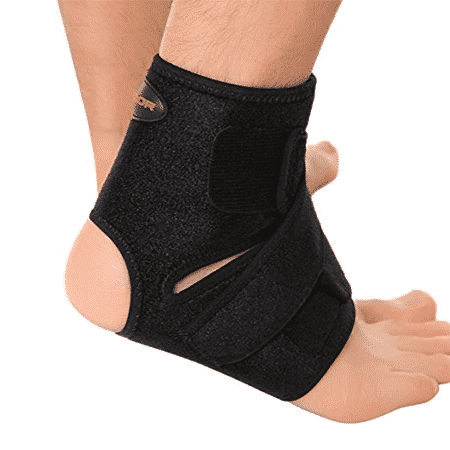 The breathable neoprene material this ankle brace is composed of is said to help encourage blood circulation and provide a soothing “warmth” to injured areas. A brace with a bit more adjustability and potential for serious support than the previously reviewed ankle braces for running. This particular brace comes with laces and straps. Both laces and straps provide the wearer with an extreme ability to adjust this brace to their specific needs. 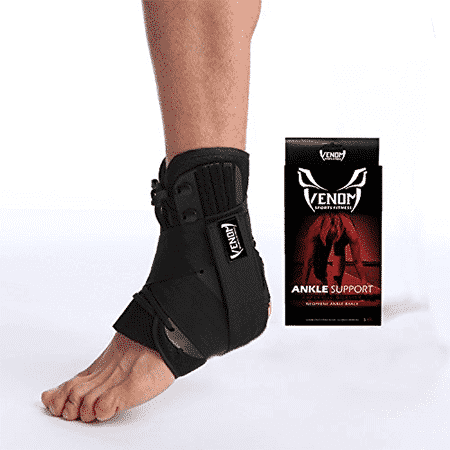 Can be worn by people with torn ligaments, or ligaments that are healing from injury. Made with both neoprene and nylon to ensure breathability. Yet another brace aimed at simply adding support to weak ankles, or people prone to rolling their ankles while running due to recent surgery. A simple design makes this brace reasonable for people in need of just a little extra help when being active. Open heel and adjustable belt designs make for a comfortable fit when being worn with running shoes. Can be used by people just getting back into running after minor surgery on the ankle. Made from neoprene, which aids in breathability and the prevention of bacteria build up. 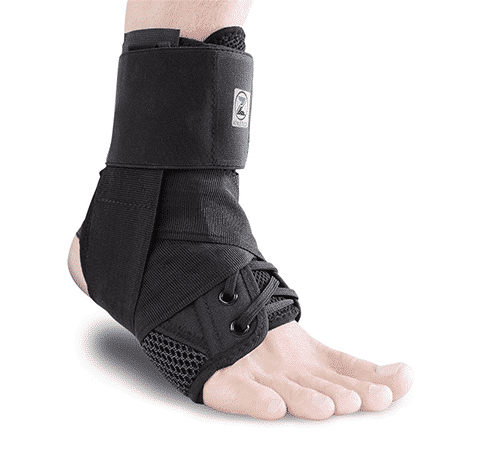 Here we have a brace perfect for people in need of compression, which helps to reduce swelling during activity. Adjustable straps make it possible for you to control the level of compression you need at any given time. 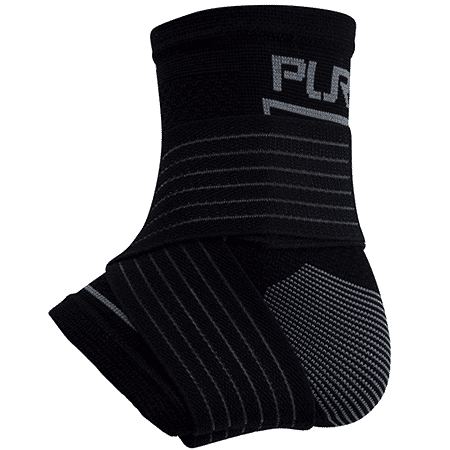 Rises high on the ankle, providing compression to the entire ankle and Achilles tendon portion of your foot. Allows the wearer to retain full range of motion. Made with a moisture wicking material helping to prevent the buildup of perspiration. Yet another brace aimed at compression. This particular brace is actually more of a sleeve that you simply pull over your foot. Perfect for various activities that involve running. No straps or laces make this sleeve a comfortable and seamless fit while being worn with shoes. Breathable and lightweight – intended for people who want to encourage blood flow during activity and prevent tendons from getting cold. 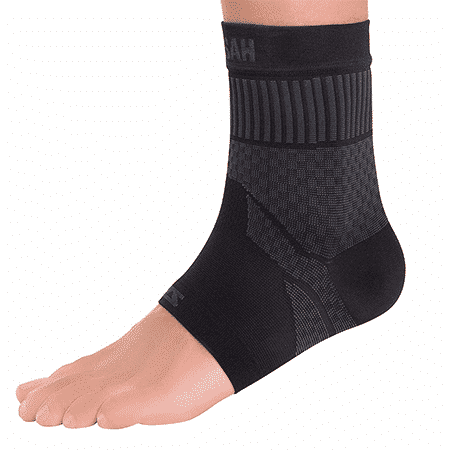 Rises high on the ankle, increasing the area of compression. This particular brace is one unlike the previous two whereas if you are looking for some serious support, this brace will provide it. In addition to adding exceptional support, this brace is also lightweight and can be used during a variety of physical activities. Side stabilizers reinforce the support of your ankle, helping to prevent you from rolling it. The straps on this brace, including the side stabilizers, are fully adjustable. Sizing options are available! This is not a once size fits all brace. 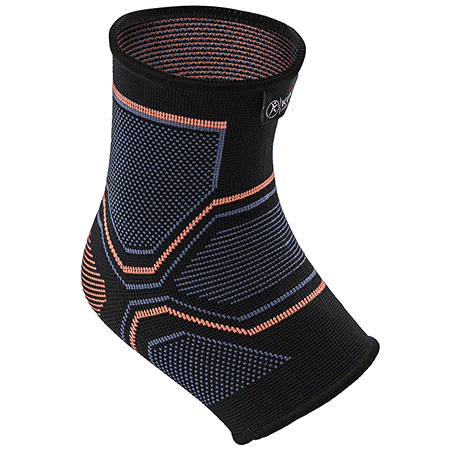 This ankle brace for running, like many others we have reviewed so far, is aimed at compression. It is a very lightweight brace with no straps or laces, meaning it might be perfect for someone looking to simply decrease inflammation. No straps, no laces. Easy to wear. The Liomar brace is aimed at maintaining ankle health. This is a brace for people who want to help prevent ankle injury while running or partaking in other cardiovascular activities. Crisscross straps claim to provide superior support. Perfect for people who struggle with tendonitis and arthritis. This last brace is another type of compression sleeve. It allows its wearer to maintain full range of motion while helping to reduce the symptoms of joint pain, plantar fasciitis, and swelling. Seamless fit makes for a comfortable fit underneath socks and shoes. Made with true fit, no slip technology. 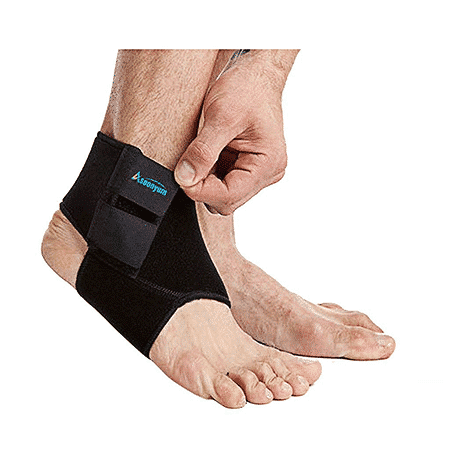 This brace claims to provide both support and compression for your ankle.